← Are right-wing populist party voters ‘populist democrats’? by Dr Galia Chimiak, Polish Academy of Sciences. Non-governmental organisations (NGOs) have emerged over time as the entities considered best equipped to initiate “development from below” (Hart 2001). Yet in the 1990s it was professed that their popularity with donors will not last forever and “at some stage NGOs, like flared jeans, will become less fashionable” (Edwards and Hulme 1996). National and international NGOs remained the favoured child of donor agencies up to the terrorist attacks on 9/11, 2001 (Howell et al. 2006). The superseding development-security nexus had an impact on states’ and other donors’ strategy towards NGOs, which has been evidenced in the pursued disciplining and taming of civil society worldwide. Yet the trajectory of development of the civil society sector in former socialist states in East-Central Europe departs from the presented above evolution of NGOs in the advanced industrial countries. Before the toppling of the previous regime in Poland, only supervised by the one-party-state voluntary organisations were allowed to be registered whereas independent civic initiatives remained un-institutionalised or underground. After 1989 the civil society sectors in the region began to grow, also due to the external support provided from public and private donors alike. Poland and Hungary received the largest share of foreign foundations’ involvement with democracy assistance (Quigley 1997). Polish NGOs did not limit their internationalisation to the cooperation with foreign donors. The Polish civil society sector was one of the first to engage in trans-border cooperation with the other East-Central European countries undergoing transformation at the time. In 1992 Janina Ochojska of the Polish Humanitarian Action organized the first convoy of humanitarian aid to Sarajevo. The Polish NGO sector subsequently got increasingly engaged in democracy assistance and development cooperation, thus initiating the transformation from recipient of Official Aid to Official Development Assistance provider. Given the singular history of the emergence and institutionalisation of civic initiatives in the former socialist bloc, the question arises as to how the NGO sector has fared on the background of the previously presented general environment enabling the functioning of the civil society sectors worldwide. This seminar will seeks to answer questions regarding the circumstances conditioning the development of the internationally-oriented NGO sector in Poland and the impact its civil society sector has exerted on the priorities and modalities of the governmental Polish aid program. These issues are so the more pertinent given that in old donor countries it has been NGOs that used to be the objects of socialisation in public institutions’ effort to further policy transfer and norm appropriation (Smith 2011), rather than the other way around. In the case of NGDOs in Poland, it will be argued that NGDOs themselves played a seminal role in the appropriation of norms and practices in the area of development cooperation by the line ministry. The engagement of societal actors in international cooperation and the involvement of the Polish state in development assistance were taking place in a parallel fashion up to the end of the 1990s. The synergistic effect of the cooperation between these two stakeholders was facilitated by the prospect of EU membership. The various roles Poland played in development cooperation, from becoming a member of the Council for Mutual Economic Assistance in 1949 through receiving Official Aid after the toppling of socialism in 1989 to becoming an emerging donor with EU accession in 2004 and finally joining the forum of established donors OECD-DAC in 2013, are indicative of the complex history of the engagement of the country in this area. Yet, as this seminar will endeavour to demonstrate, the contemporary Polish aid has been shaped not only by geo-political circumstances. Polish aid has namely benefited from its cooperation with the already relatively well-developed NGDO sector, which willingly shared its hands-on experience and know-how in providing humanitarian aid, development cooperation, and global education with state institutions responsible for development assistance. The research can be broadly situated in the field of sociology of development. As it is interdisciplinary in nature, it also relies on insight from other social sciences such as psychology, international relations and political studies, inter alia by taking into account theoretical insight from these disciplines. The study assumes a micro perspective as it focuses on the actors’ viewpoint. As such, this research rests on the premises of supply-side theories of non-profit organisations. These theories highlight the pivotal role NGOs’ activists’ motivations and background play in the establishment of such organisations. The theoretical underpinnings of this research furthermore draw on constructivist thinking and specifically on the second generation of constructivist scholars. Polish NGDOs’ strengths were found to lie in the continuing legacy of the Solidarity movement of the 1980s, the Polish aid professionals’ hands-on experience with transformation and cooperation with foreign funders alike, and the ensuing credibility of Polish NGDO activists. The perceived community of fate with other nations, who continue to live under a totalitarian system, keeps fuelling this cooperation. There is an added value of development cooperation provided by Polish NGDOs given that these organisations themselves have benefited from external assistance. The country’s in-between developmental status has been identified as a factor accounting for the legitimacy and integrity of Polish aid provided by Polish NGDOs. Unlike aid professionals in donor countries with colonial past (Lewis 2013), Polish aid professionals can and do freely move between sectors, which also facilitates the travel of ideas and know-how between internationally-oriented NGOs and national NGOs. Dr hab. Galia Chimiak is an associate professor at the Institute of Philosophy and Sociology at the Polish Academy of Sciences. Her research interests are in societal self-organisation and international development cooperation. In 2008-2009 she worked for UNDP in Bosnia and Hercegovina. Since 2004 Galia Chimiak has taught at several universities in Warsaw as well as in Trinity College Dublin. She is a member of the International Society for Third Sector Research and the Development Education and Awareness Raising Multi-stakeholder Group at DG DEVCO of the European Commission. 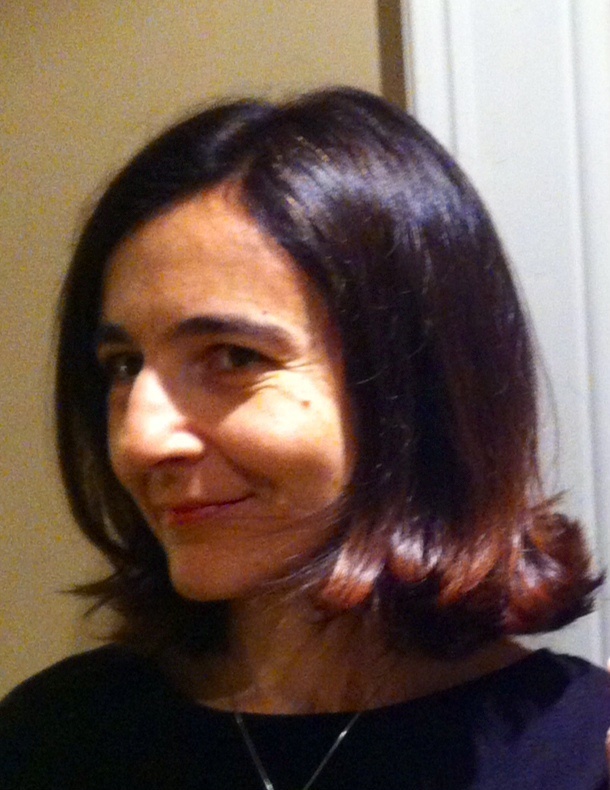 In 2014 Galia Chimiak was a visiting fellow at UCD SPIRE. Her book The Growth of Non-Governmental Development Organisations in Poland and Their Cooperation with Polish Aid came out last year. This blog is posted in advance of her SPIRe seminar on “The international development civil society sector in Poland”, discussant Prof. Paul Walsh on Thursday, April 12th at 1pm. This entry was posted in SPIRe seminars and tagged aid, civic society, development, NGOs, Poland, sociology of development. Bookmark the permalink.